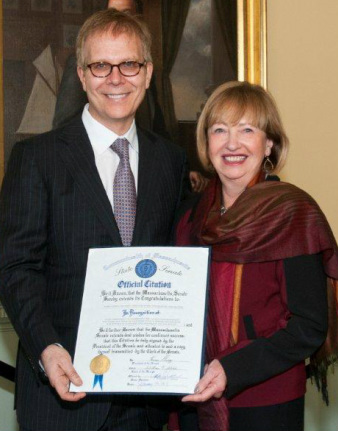 "BE IT KNOWN that the Massachusetts Senate hereby extends its congratulations to Mark Ludwig, in recognition of your commitment to championing the causes of human rights and tolerance through your dedication to preserving the music and history of composers who perished in the Holocaust as Founding Director of the Terezín Music Foundation. And be it further known that the Massachusetts Senate extends best wishes for continued success; that this citation be duly signed by the President of the Senate and attested to and a copy thereof transmitted by the Clerk of the Senate." The ceremony, including Mark's performance of the Gideon Klein lullaby, composed in Terezin, on viola in the Senate chamber, was recorded on film. 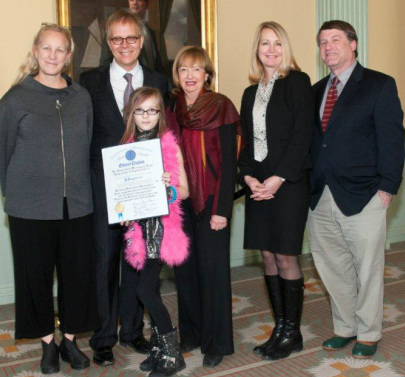 The Citation is signed by Therese Murray, President of the Senate; William Welch, Clerk of the Senate, and Cynthia S. Creem, State Senator. 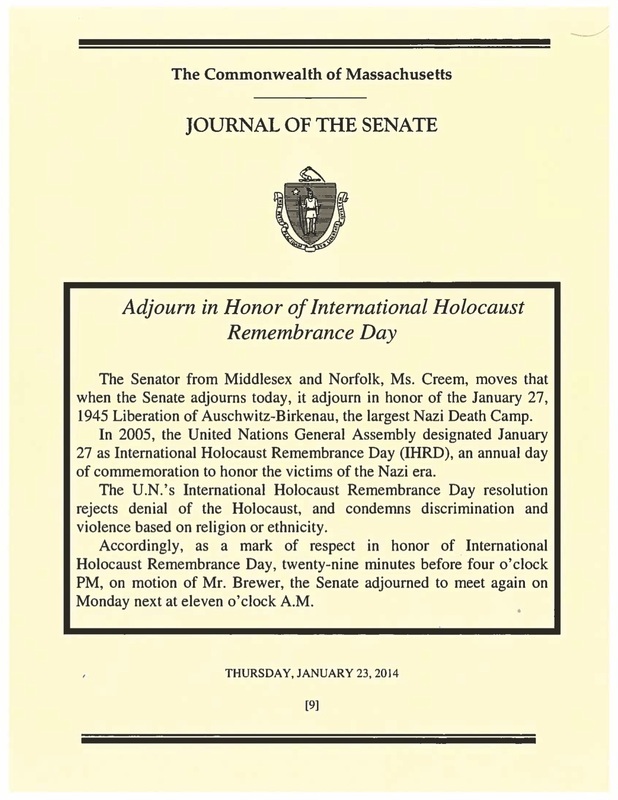 At the end of the Formal Session, the Senate adjourned in honor of the United Nations International Holocaust Memorial Day.